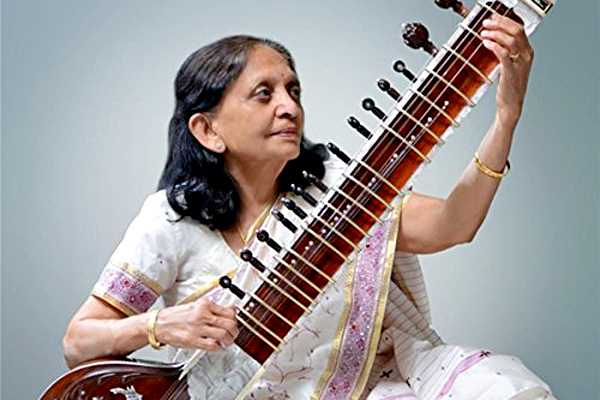 Patel, who taught sitar, tabla and vocals at Ohio’s Oberlin College for close to two decades, was honored before her scheduled performance in August 2018 in Montreal, Canada, by Dr. Elaine Valdov, representative to the United Nations and president of International Peace Ambassadors. The Westlake, Ohio-based musician continues to train students and perform at concerts in the U.S. and abroad. Patel, who earned her bachelor’s degree in sitar from the Faculty of Performing Arts, M.S. University in Vadodara, and was a gold medalist, went on to receive her master’s degree in sitar with distinction from Ahmedabad’s Gandharv Mahavidyalaya. She later received a master’s degree in accountancy and financial information systems from Cleveland State University. Patel plays sitar in a very special style known as Gayaki Ang (vocal style), where the sitar replicates the fluidity and subtle nuances of the human voice, according to her bio on her website, which adds that she is the first woman to receive a music degree with a gold medal in the 75-year history of the Faculty of Performing Arts. A winner of several awards like the Ohio Heritage Fellowship Award from the Ohio Arts Council and the ‘Hind Rattan Award 2009’ from the NRI Welfare Society of India, Patel made her first public appearance at the age of ten. Her website also notes that Patel is the only Indian musician/composer to be included among 25 prestigious women composers of the U.S. in a book titled, “In Her Own Words” by Dr. Jennifer Kelly of Lafayette College, PA., a publication of the University of Illinois.